The drive towards the Arctic can be compared with Tsarist Russia’s expansion into Siberia, Putin made clear in the televised Q&A session broadcasted on Thursday. «With certainty, we can say that our power and opportunities will grow with the expansion into the Arctic», he underlined, a transcript from the Kremlin reads. 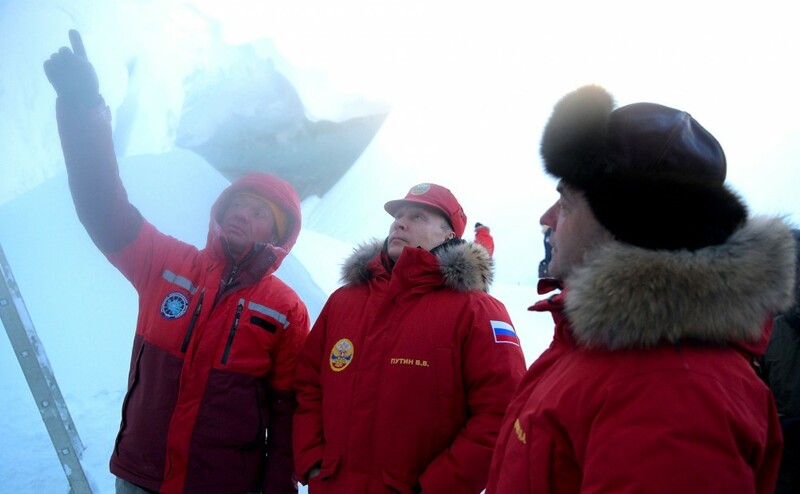 «The Arctic is a region of great importance, it will provide for the future of our Russia». The president responded to a question from a man from St. Petersburg who wondered: «Why are we investing huge money into this region? After all, for the past 20 years almost everybody had forgotten about it». Putin underlined that «we are back», and that he hoped it would remain like that «forever». National security is an issue of top priority in the area, the state leader made clear. «American submarines are on guard outside the coast of Norway and their missile will need only 15 minutes to hit Moscow». «Lets not forget about the military aspects: with regard to military capacities of the country, this is a tremendously important region». The press conference in Moscow, a grand several-hour annual event, took place only few weeks after Putin visited the major new Nagurskoye military base in Franz Josef Land. The new complex is located at 80 degrees north and provides all-year-round living and working conditions for 150 servicemen. The new base will be equipped with a 2,500 meter long landing strip and a fleet of MiG-31 or Su-34. Several other new and upgraded bases are built all along the country’s Arctic coast. According to the president, foreign tour guides in Franz Josef land now tell tourists that «these islands once belonged to the Soviet Union». That should concern us, Putin underlined. «After all, this is our territory». «Therefore we should fully secure these routes, provide for economic activities and secure our sovereignty over the territories». In the press conference, Putin also touched upon the development of the country’s ambitious icebreaker program. He confirmed that not only will four LK60 vessels be built in accordance with plan, but also the «Lider», the giant next-generation ship, will become reality. «By year 2025, this new icebreaker, a completely new class, considerably more powerful - two times more powerful, will be built». He admitted however that there are certain problems with finding the necessary funding for the new project. «So far, perhaps, not everything is clear with the financing, but I am confident that we will make it».